Taste New York Farm Market Initiative – KC Engineering and Land Surveying, P.C. 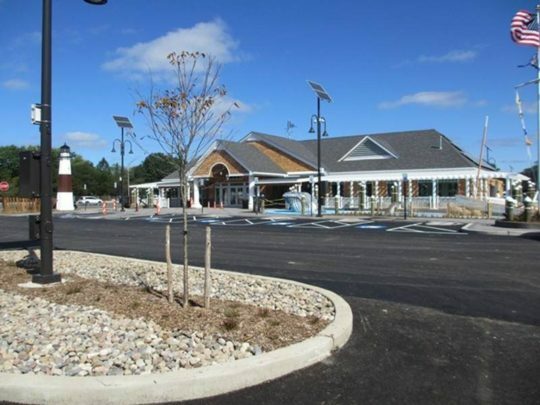 KC was responsible for providing design services for the development of a Taste New York rest area in Long Island, NY. Design services included the complete design of a new sanitary sewer pump station to service the Taste NY Market and its potential future growth. This included the pump station design, the building layout, wet well, valve vault, pump calculations and selection, wet well control system with triple redundant level sensors, electrical and LED lighting plants, passive charcoal wet well vent, and active potassium permanganate wet well odor control system designs.